Our jam and mustard is small-batch and handmade at our friend Beth's kitchen in New York's Hudson Valley. We source most of our produce locally from small, family-owned farms right next to the kitchen. Our methods combine old world techniques with modern finesse, bringing innovation to the tradition of jam making. 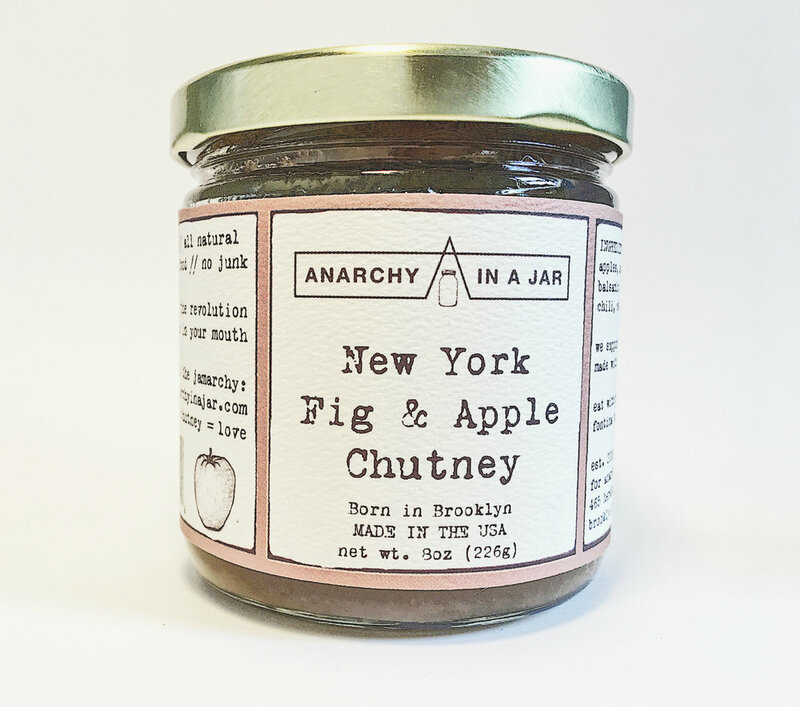 Anarchy in a Jar has been featured in The New York Times, The New York Times T Style Magazine, The Martha Stewart Show, Bust magazine, New York magazine, Tasting Table, Serious Eats, Time Out New York, andEdible Brooklyn & Manhattan. We'd love to be sold at your store or served at your restaurant, bar or hotel. Here is our price list. Ask us about discounts, specials. etc. Visit our WHOLESALE SHOP for case prices: email us for the discount code. If you prefer, you can place your order via email, with 30-day terms: feel free to contact us.